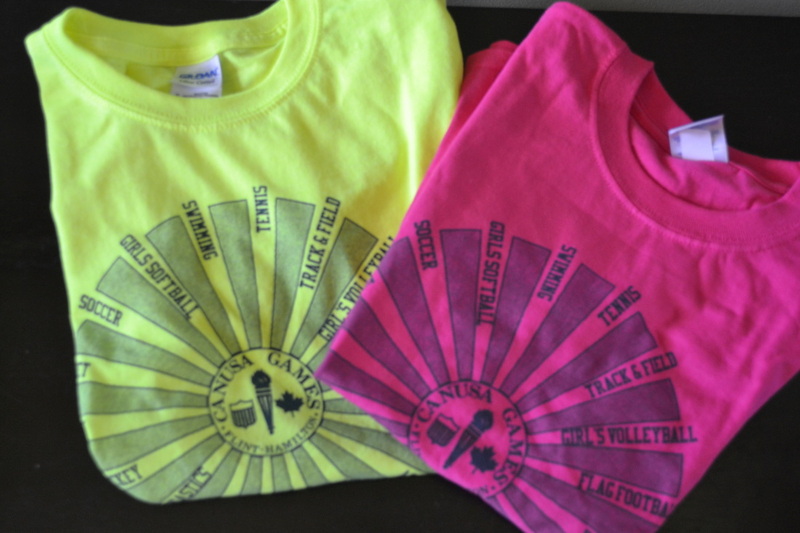 Purchase your 2014 CANUSA Souvenirs at Southwestern Academy. FOG & CANUSA Trivia is time is here! Each day, at random times, a question will post on our Facebook page. All answers to the questions can be found on any of the pages on this website. The first person to get the correct answer will win the prize. 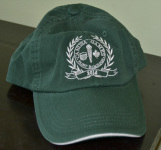 So make sure to check the page and site often for your chance to win some cool CANUSA gear! Trivia will run July 28th-August 1st. Good Luck FOG & CANUSA Fans! 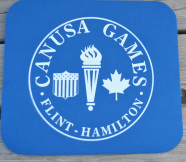 The “CANUSA & FOG Trivia Game” is sponsored CANUSA & Flint Olympian Games (“Sponsor”)and is run by Be More Social Media (“Agent”). This contest is governed by these official rules (“Official Rules”). By participating in the contest, each entrant agrees to abide by these Official Rules, including all eligibility requirements, and understands that the results of the contest, as determined by Sponsor and its agents, are final in all respects. The contest is subject to all federal, state and local laws and regulations and is void where prohibited by law. The Contest is open to legal residents of their respective countries where not prohibited by law, who are thirteen (13) years of age or older at the time of entry who have Internet access and a valid e-mail account prior to the beginning of the Contest Period. Sponsor has the right to verify the eligibility of each entrant. The Sweepstakes begins at July 28, 2014 Noon EST and ends at August 1, 2014, noon EST. (“Sweepstakes Period”). All entries (submissions) must be received on or before the time stated during that submission period. Sponsor reserves the right to extend or shorten the contest at their sole discretion. You can enter the contest through the Sponsor Facebook Page and answering the trivia question that is proposed each week beginning July 28, 2014 through August 1, 2014. Entrants must answer the question asked each week and provide required information in the comment section to participate in the contest. After submitting the required information on the entry form, the entrant will then be entered into the contest. All eligible entries received during the Submission Period will be entered to win. The first person to answer the question correctly will win the said “prize” for that week. The winners will be announced each day throughout the contest window period (July 28-August 1, 2014) on or after noon EST. Announcement and instructions for prize will be announced via the comments section on Facebook. Once a winner has been chosen for that week they may still enter the contest and answer questions for the duration of the contest, however, previous week’s winners WILL NOT BE ELIGIBLE to receive another prize during the contest period (July 28-August 1, 2014). Each entrant is responsible for monitoring his/her Facebook account for prize notification and receipt or other communications related to this contest. If a potential prize winner cannot be reached by Administrator (or Sponsor) within fifteen (5) days, using the contact information provided at the time of entry, or if the prize is returned as undeliverable, that potential prize winner shall forfeit the prize. 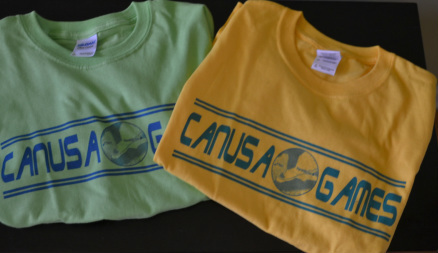 CANUSA & FOG game gear and souvenirs. BY ENTERING THE CONTEST, EACH ENTRANT AGREES TO INDEMNIFY, RELEASE AND HOLD HARMLESS SPONSOR AND ITS PARENT, AFFILIATE AND SUBSIDIARY COMPANIES, THE FACEBOOK PLATFORM, ADMINISTRATOR, ADVERTISING AND PROMOTIONAL AGENCIES, AND ALL THEIR RESPECTIVE OFFICERS, DIRECTORS, EMPLOYEES, REPRESENTATIVES AND AGENTS FROM ANY LIABILITY, DAMAGES, LOSSES OR INJURY RESULTING IN WHOLE OR IN PART, DIRECTLY OR INDIRECTLY, FROM THAT ENTRANT’S PARTICIPATION IN THE SWEEPSTAKES AND THE ACCEPTANCE, USE OR MISUSE OF ANY PRIZE THAT MAY BE WON. SPONSOR AND ITS PARENT, AFFILIATE AND SUBSIDIARY COMPANIES DO NOT MAKE ANY WARRANTIES, EXPRESS OR IMPLIED, AS TO THE CONDITION, FITNESS OR MERCHANTABILITY OF THE PRIZE. SPONSOR AND ITS PARENTS, SUBSIDIARIES, AFFILIATES, ADVERTISING AND PROMOTIONAL AGENCIES, AND ALL THEIR RESPECTIVE OFFICERS, DIRECTORS, EMPLOYEES, REPRESENTATIVES AND AGENTS DISCLAIM ANY LIABILITY FOR DAMAGE TO ANY COMPUTER SYSTEM RESULTING FROM ACCESS TO OR THE DOWNLOAD OF INFORMATION OR MATERIALS CONNECTED WITH THE SWEEPSTAKES. And also in conjunction with Be More Social Media.